Singer Beyonce Knowles is continuing to get a lot of attention especially since her halftime show appearance during the Super Bowl 2013 a few nights ago. Beyonce use to be a singer with the group Destiny’s Child, but has become very popular as a solo artist over the past few years. It was rumored that her performance took over 5 months to prepare for and that she worked out and dieted especially for the event. 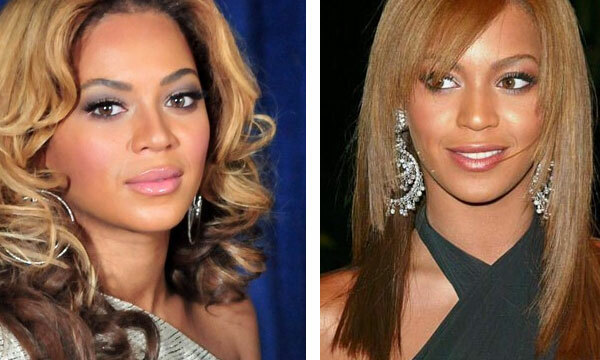 Although both Beyonce and her celebrity husband JZ deny having any plastic surgery done, we can’t help but notice some subtle changes in her face as we view photos of her from the past to present. I know that peoples appearance change naturally with age, but somethings do not change naturally like the shape of ones nose or cheekbones. 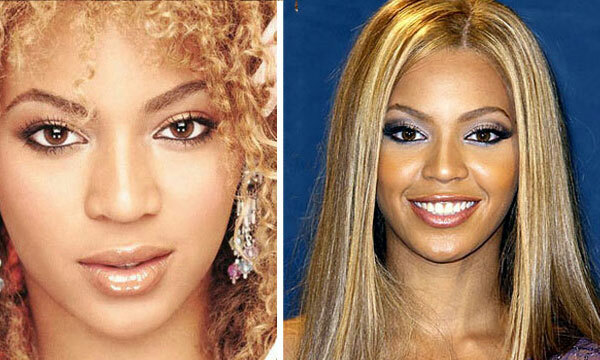 For example Beyonce’s nose used to look bigger and thicker, where now the bridge is more defined, suggesting a nose job or rhinoplasty. The good thing is that this change looks natural on her and does not give off any appearance of too much plastic surgery work. Even though many people claim that she got lip reduction surgery, it is important to remember that both lips and nose can change appearance with the help of make-up not necessarily a cosmetic procedure.